We’re in the age of locking knives. Each major knife brand has at least one of its own proprietary locking mechanisms. There’s the Tri-Ad Lock, the Compression Lock, the AXIS Lock, the Arc Lock, the Reeve Integral Lock, and many more. Not long ago, most knives were slipjoint knives. These folding knives use backsprings to keep a blade open or closed, even though it’s not technically locked. And before that, there were friction folders. In fact, the first folding knives ever made were friction folders. Let’s find out what these actually are. What is a Friction Folder? A friction folder is a folding knife that doesn’t use a lock or springs. It uses the handle’s friction against the tang to stay open. Over the years, the design has adapted to feature an extended tang. 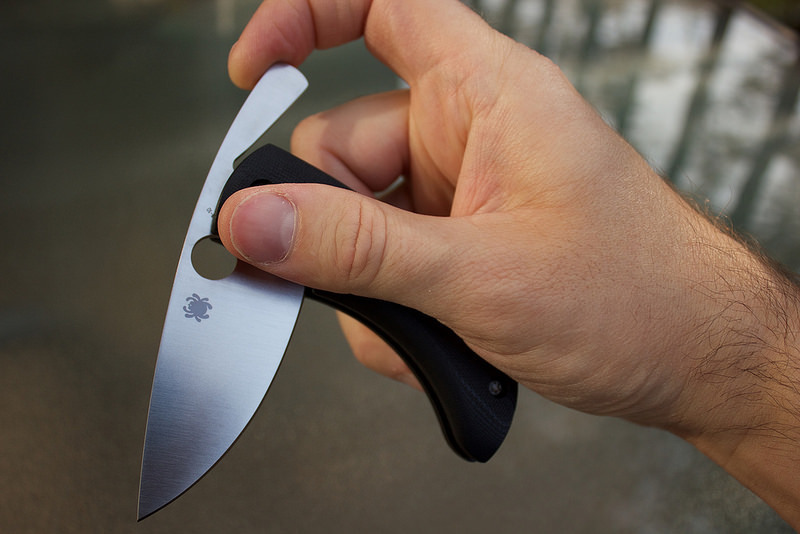 This allows the user’s hand to keep the blade from folding shut. As you can tell by the description, friction folders aren’t for hard use. They are excellent for light cutting, but put any pressure on the spine and your fingers will be toast. Why Carry a Friction Folder? Friction folders aren’t great for rigorous use because of the danger of closing on the fingers. So why would anyone want to carry them? A few reasons. First, some places have very stringent knife laws that ban any locking knife. Take the UK, for example. According to the laws, “Lock knives (knives with blades that can be locked when unfolded) are not folding knives, and are illegal to carry in public without good reason.” Since a friction folder has no locking mechanism except for the grip of your hand, it’s not illegal. Second, friction folders are pretty unique. They often have great designs. Most have the extended tang design and some knife makers, like the aforementioned Michael Morris, embed bottle openers in the extended tang. For whatever reason (probably most people want a stronger knife), there aren’t many factory-made friction folders from the popular brands. If you want a good friction folder, you typically have to look to custom makers. But there are a few excellent factory friction folders out there. Here are some we recommend. 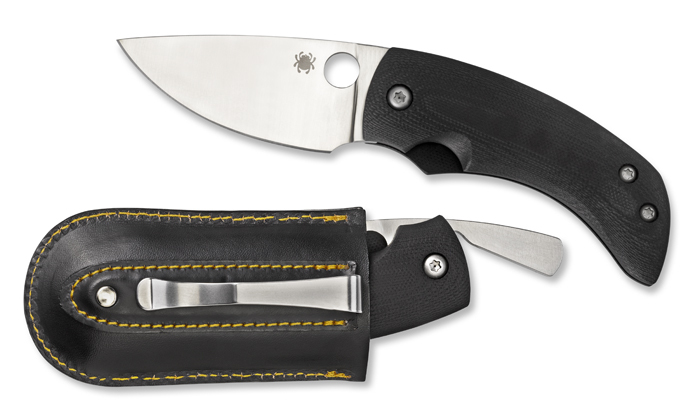 Unsurprisingly, the Spyderco Friction Folder is an adaptation of a custom folder designed by Filip De Leeuw. It has the extended tang on a 2.84-inch VG-10 stainless steel blade. The black handle is made from G-10 scales with wood-like texture. 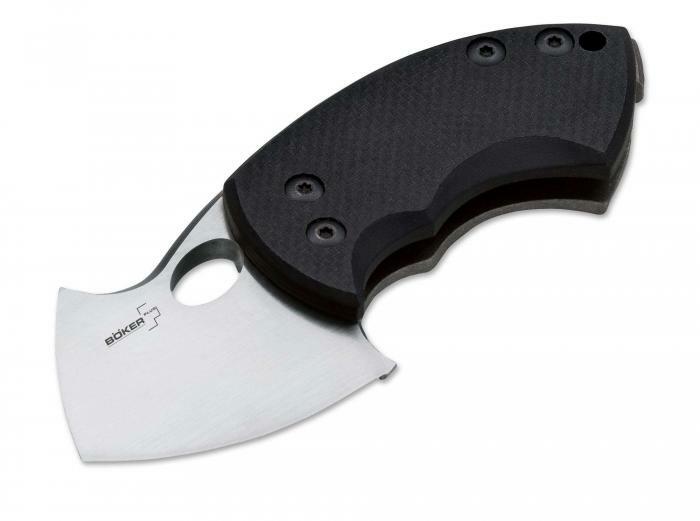 You can open it up with Spyderco’s iconic Round Hole or use the extended tang. It comes with a faux leather sheath because there’s a higher risk of the knife accidentally opening when carried clipped to the pocket. The Boker Plus War Toad is a stubby little guy with a 2-inch blade made from 440C stainless steel and an extended tang. The front handle scale is black G-10 and the back is all titanium. It’s a pretty good little friction knife that ventures successfully into the genre. 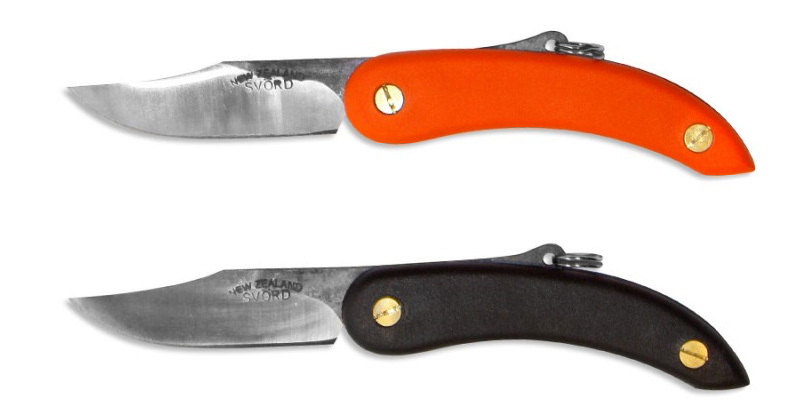 If you want a friction folder, chances are you’ll continually run into the name Svord. A New Zealand company, Svord is not the biggest of knife brands, but it has established a loyal following with its peasant knives. Billed as 17th centuries knives with a modern twist, these peasant knives come in all types of colors. The fairly inexpensive knives are a great way to experience the world of friction folders. 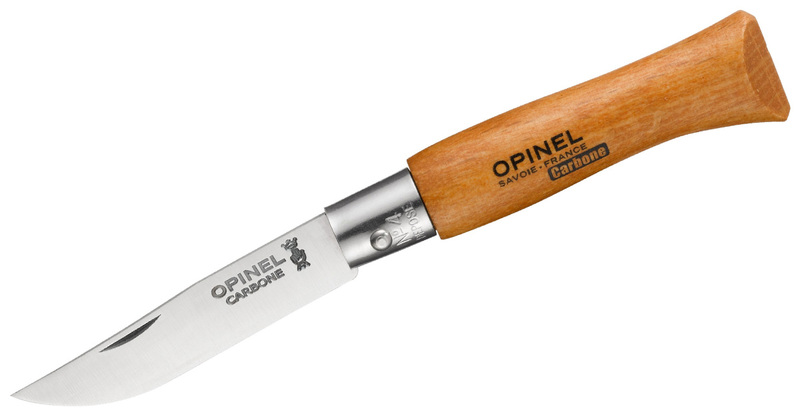 These days, Opinel is best known for its cheap knives with a ring lock mechanism, but that’s a relatively new addition to these classic knives. The smaller Opinels, including the No 4, don’t have that ring lock and use the friction. They may not have an extended tang, but the smaller Opinels use friction in the pivot to stay open. Huh? The whole design is based on the blade being held in place by the pressure of your hand holding, and the pressure of the cutting action- even if you mean “messing about, stabbing or using the knife as a drill” you’re still holding a safe knife? Test stuff before you write about it?